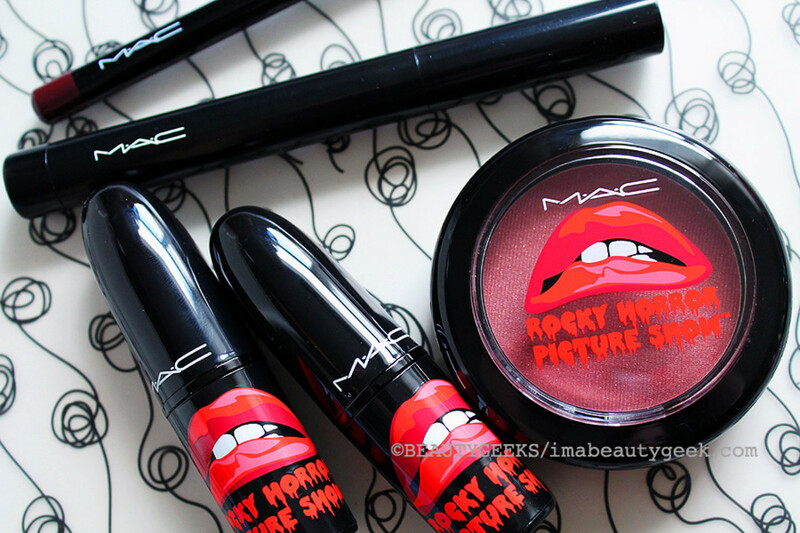 While very cool people get all intense about mind-blowing Halloween costumes, some of us who might be only a little less cool can look to the MAC Rocky Horror Picture Show collection for a bit of timely vamp-beauty. Creative people who get right into the spirit of Halloween with wicked costumes are awesome. I&apos;m not one of them. Okay, I did well as Monica Lewinsky one year (as I mentioned in this post that includes one of Monica&apos;s favourite glosses), and an attempt to pull off a glitzy ’80s Elizabeth Taylor turned into a prize-winning Delta Burke (gosh I wish I had photos of that look), but really I&apos;m pretty low key. 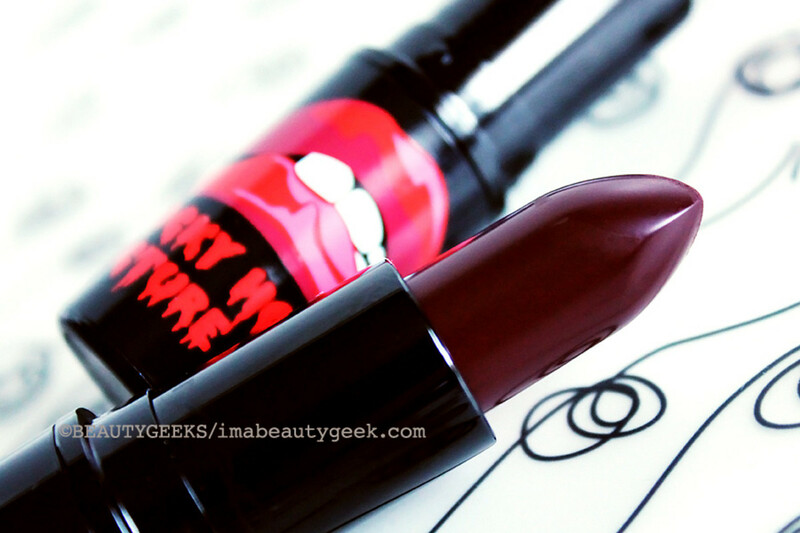 Whipping out a lipstick from the MAC Rocky Horror Picture Show collection right now is a cheeky acknowledgement of the coming creepfest, and that&apos;s enough for me. 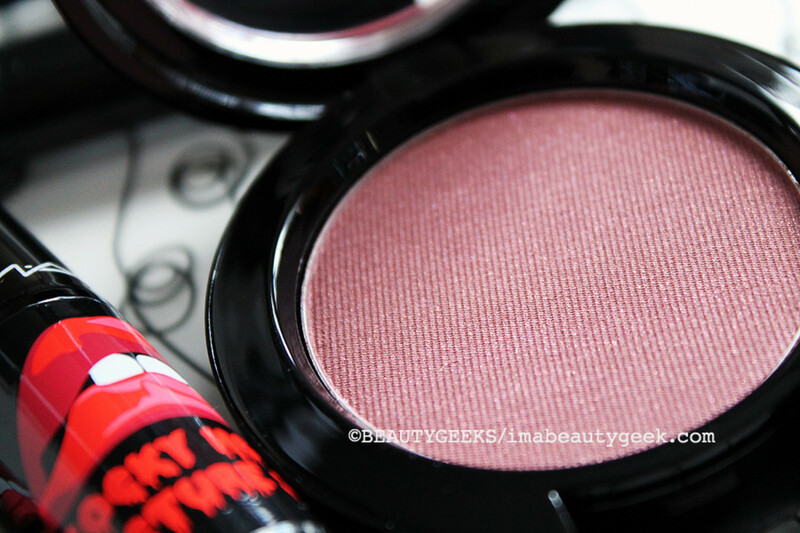 This is MAC Powder Blush in Flirt & Tease ($28.50 at maccosmetics.com and $24 at maccosmetics.com US), part of the Rocky Horror Picture Show collection MAC&apos;s released in hommage to the cult film&apos;s 40th Anniversary. 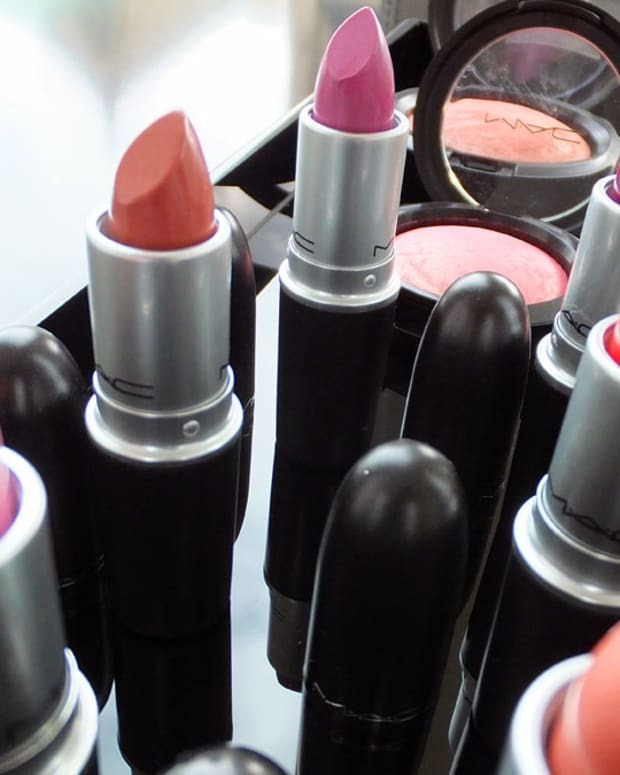 The soft neutral shade is an excellent counterbalance to the statement lip shades and eye options in the range. 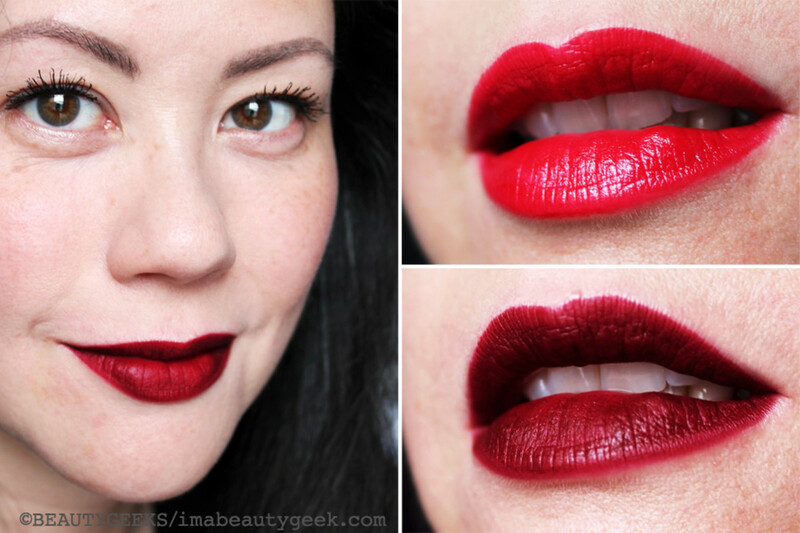 MAC Rocky Horror Picture Show Oblivion lipstick ($21 at maccosmetics.com and $17.50 at maccosmetics.com US). 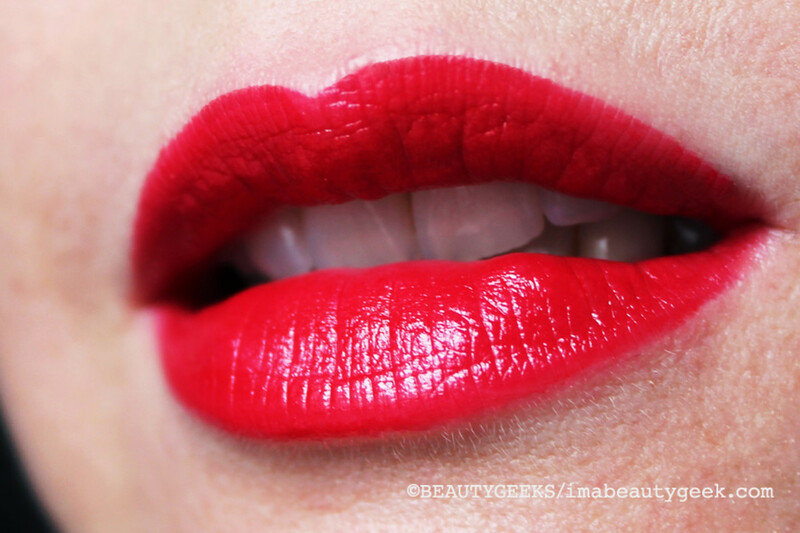 Oblivion is a pretty red! Well, Susan Sarandon is very pretty in the movie, so there&apos;s room for pretty in the collection, right? But this. 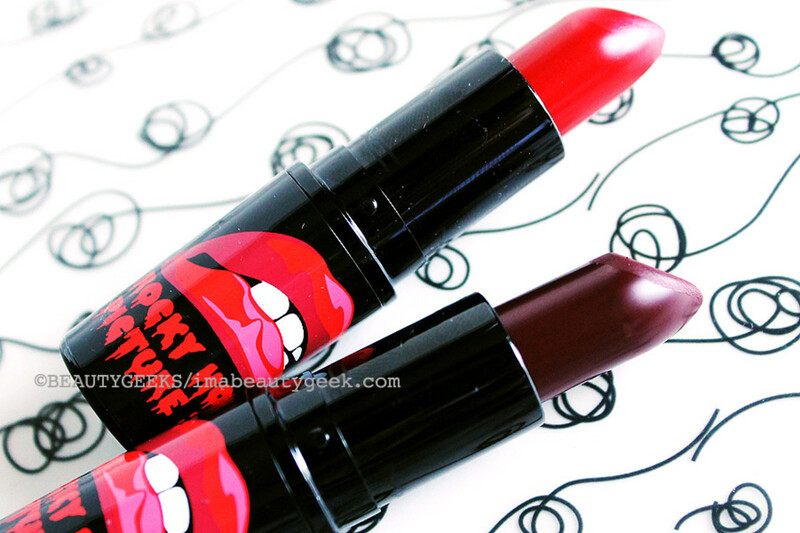 MAC Rocky Horror Picture Show lipstick in Sin ($21 at maccosmetics.com and $17.50 at maccosmetics.com US). Matte. Intense. Almost goth. And gorgeous. Love. Deep matte hues like this aren&apos;t the easiest for back-of-the-cab lip applications, unfortunately -- precision is a requirement. So I&apos;ll have to put Sin on before I leave the house. 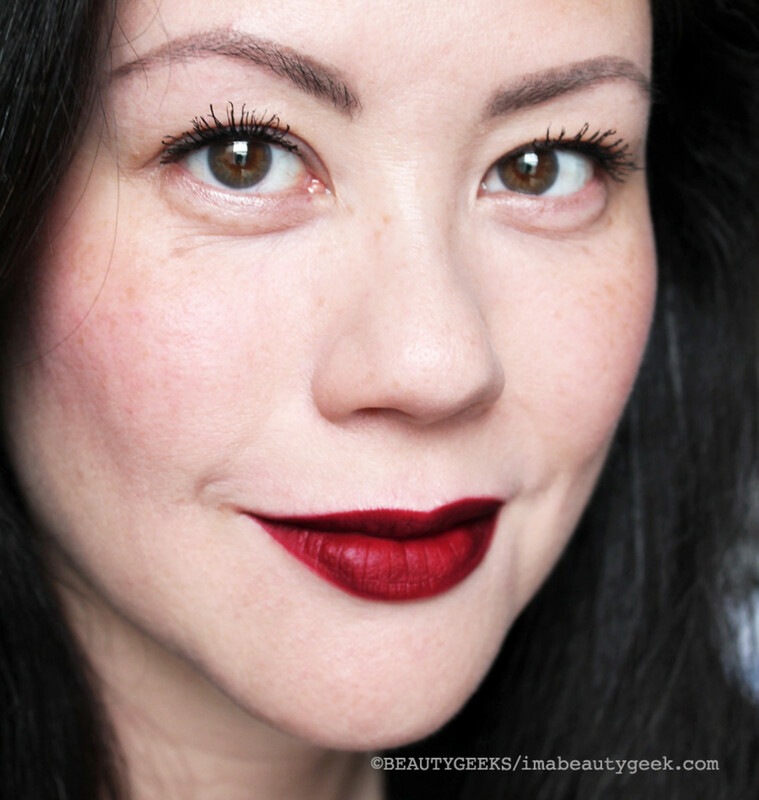 And yeah, it&apos;s not quite the Rocky Horror graphic lips, but my usual fairly relaxed lip-pose felt so lame in this shade!And of course I put a teensy bit of Sin on my cheeks (Sin is matte; well-moisturized skin is key for easy blending). The more subtle Flirt & Tease blush would change the look (as would softening my brows a bit -- hmmm), make it perhaps more sophisticated. 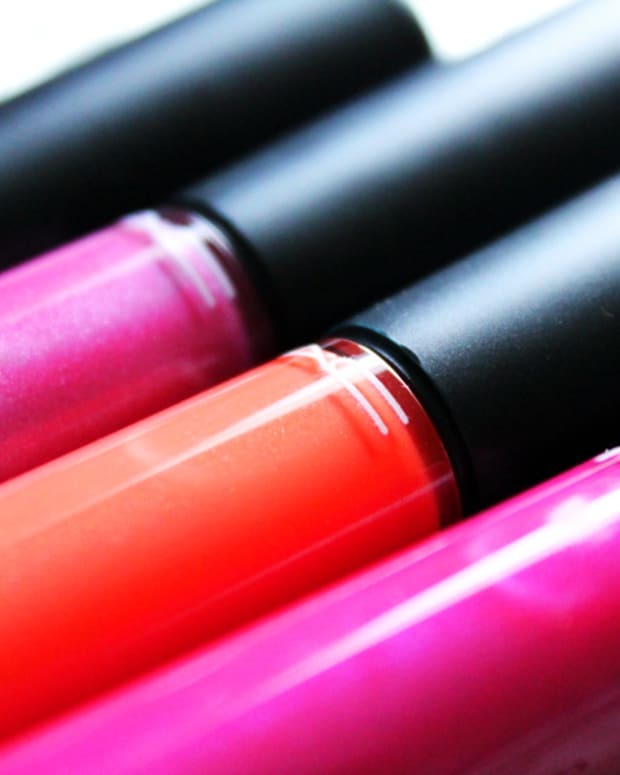 But lip colour on my cheeks has become almost a reflexive makeup gesture now. Oops? Oh, and nails! There are two nail polishes in this collection, but our Manigeek likes to play with matte finishes and black base coats to see what happens. 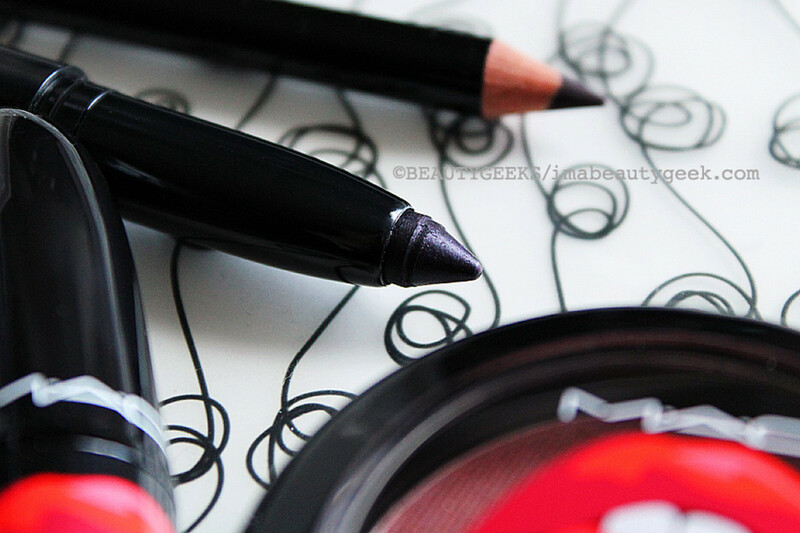 See Karen&apos;s creative MAC Rocky Horror Picture Show nail polish swatches here. 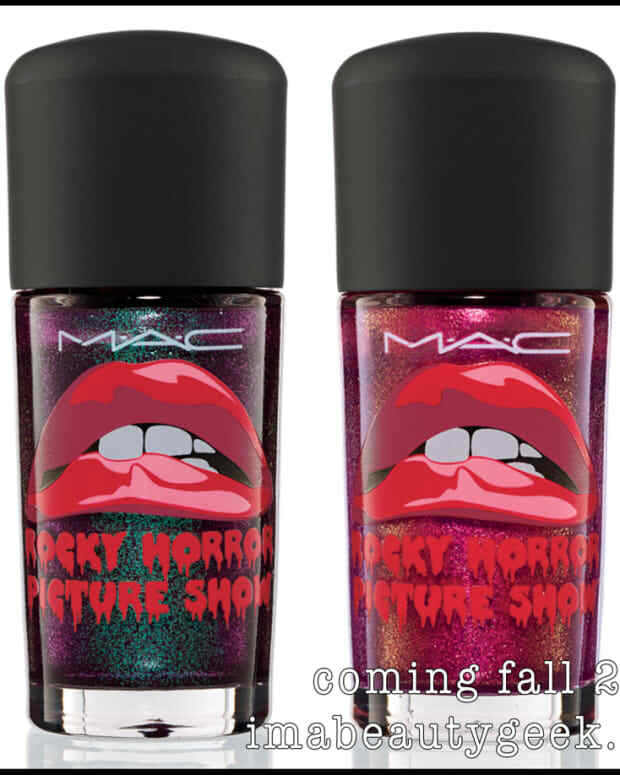 MAC&apos;s Rocky Horror Picture Show collection is limited edition, on sale now through the end of October (or whenever they run out of stock) via maccosmetics.com (click here for the US side) and at MAC Cosmetics counters. What did you get? Are you an elaborate-costume Halloween type? Or more of a low-key spectator? 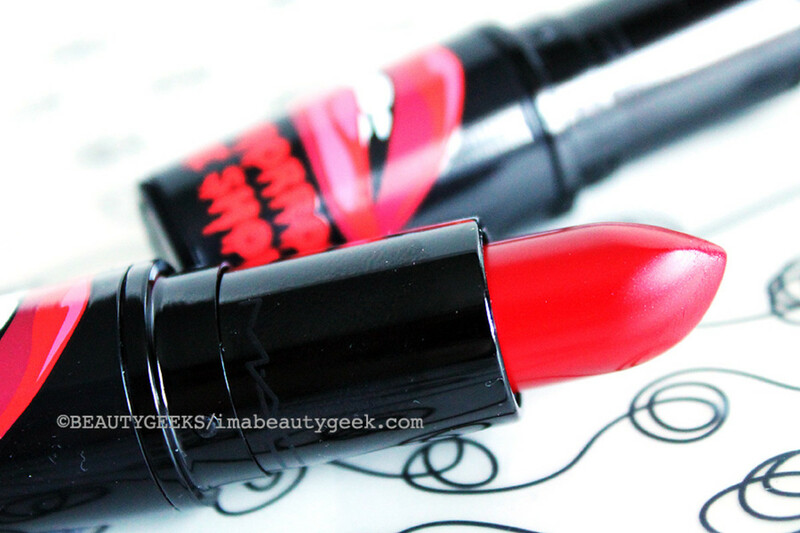 Is rocking a little Rocky Horror enough for you?